Theresa's Mixed Nuts: Celebrate Tiny Victories with Reynolds KITCHENS® Quick Cut™ Plastic Wrap! 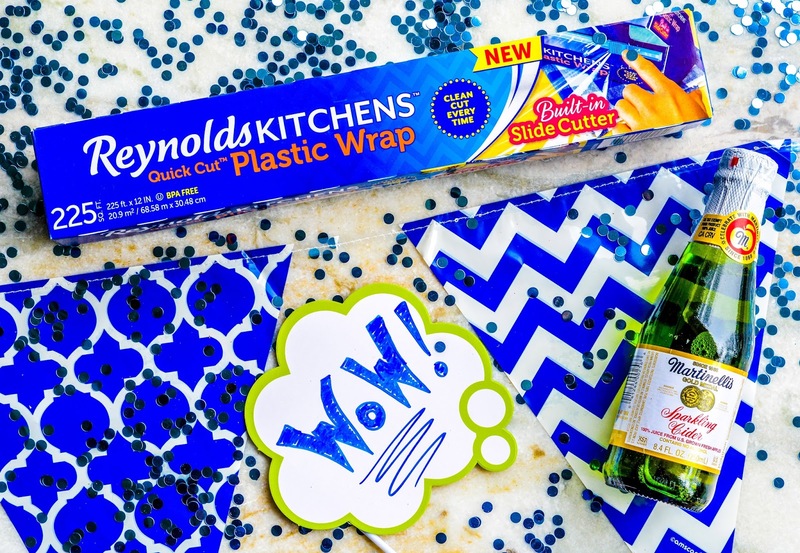 Celebrate Tiny Victories with Reynolds KITCHENS® Quick Cut™ Plastic Wrap! I don't know about you, but I am always on the lookout for products that are going to make my every day life easier. I have enough on my plate to deal with every day, so if I can find something that takes even a little bit of frustration away, I'm all over it. Little device that catches hair from the shower drain... Check! Plastic clips to hold my spices on the inside of the cabinet door so I can find them easier... Check! Books on audio... Double Check! Time is a precious commodity, so I look for ways to cut corners to stretch my free time out just a little further every day. 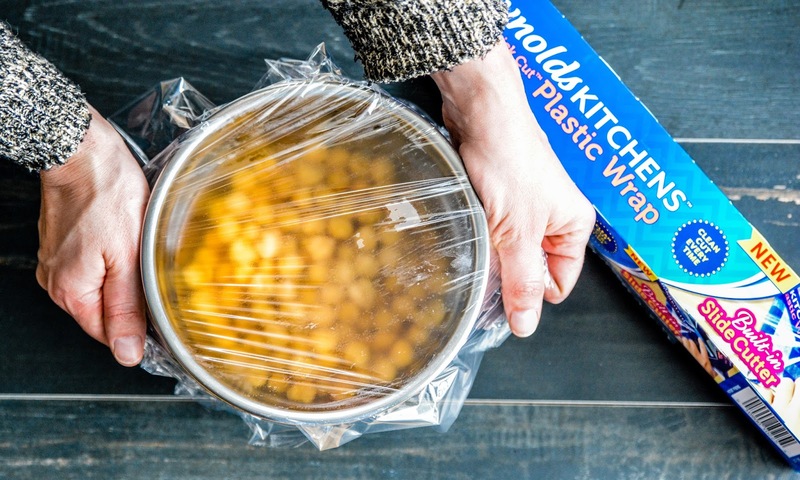 One of my new favorite ways to do that is with New Reynolds KITCHENS® Quick Cut™ Plastic Wrap. You all know that my happy place is in my kitchen. I love food and creating dishes that are not only nourishing, but fun for my family. Because I am big on not wasting food, we use a lot of plastic wrap to keep food fresher longer. I'll be honest. Dealing with plastic wrap is not one of my favorite things to do. 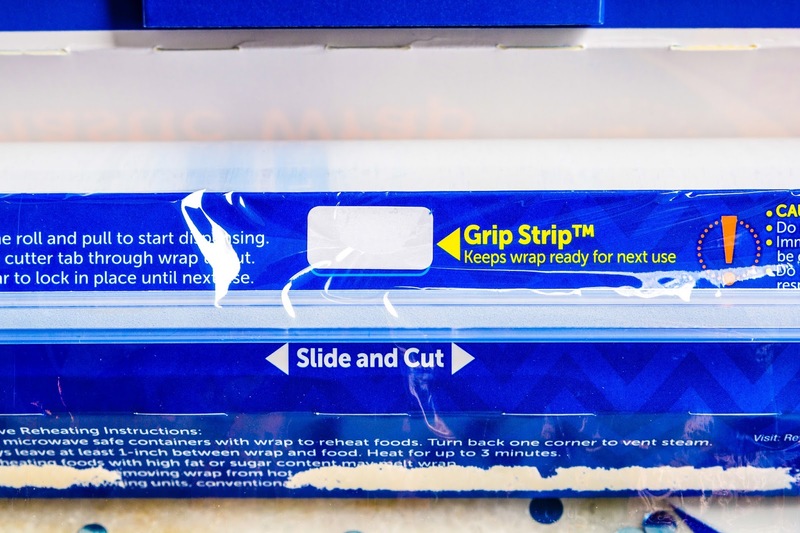 I can never find the start of the roll and when I do, getting an even cut on those sharp, jagged metal teeth that are supposed to cut the wrap is pretty much impossible. Plus, raise your hand if you've ever sliced your fingers on those metal teeth (I have, on more than one occasion!) OUCH! Let's not even talk about the roll falling out of the box and hitting the dirty floor. Not cool. Look at that nice, clean edge! When they say "frustration-free", they mean it! Finding tiny victories, like using the new Reynolds KITCHENS® Quick Cut™ Plastic Wrap, frees up a bit more of my time so I can add a few more victories to life. Like, last week I was finally able to get my basement cleaned. I've been putting that off since the fall! Since my mind was no longer drifting to the mess in my basement, this week I was able to tackle another small victory: making homemade sweet rolls for the first time in my life. Guess what? They were a success! In a small sauce pan, heat the butter and milk to 120 degrees F. Pour into the flour mixture and stir until moistened. Add in the bananas, egg, and vanilla. Beat until smooth. Stir in remaining flour until combined. Dough will be slightly sticky. Turn the dough onto a lightly floured surface and knead 5 to 7 minutes, or until dough is smooth and elastic. Place dough into a greased bowl, turning once to grease the top. Cover and let rise in a warm spot until doubled, about 1 hour. Punch dough down. Turn onto a lightly floured surface, then divide in half. Roll each half into a 16 inch by 6 inch rectangle and brush with the melted butter. Combine the pecans and sugar, then sprinkle over the dough within 1/2 inch of the edge. Starting with the long side, roll the dough up jelly-roll style. Pinch seam to seal. Cut each roll into 10 slices. Place each slice on a baking sheet, cover and allow to rise in a warm place, about 30 minutes. Bake at 400 degrees F for 12 to 15 minutes, or until tops start to turn golden brown. 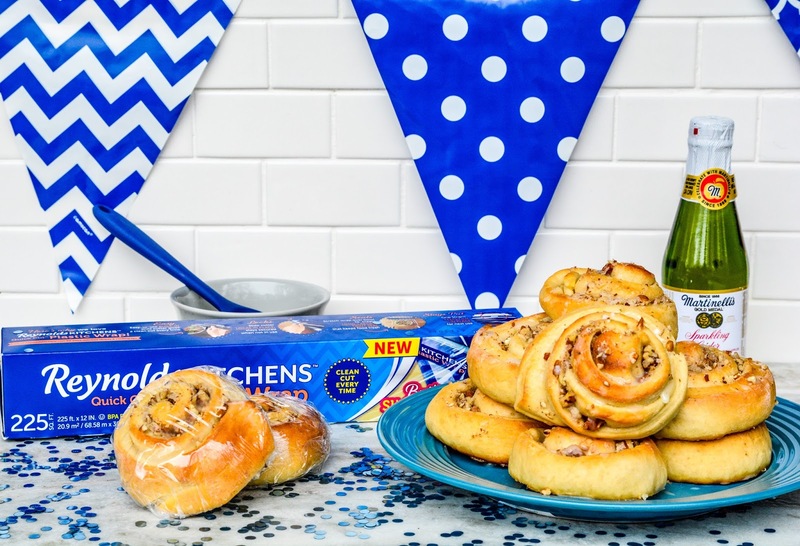 Remove sweet rolls from pan and allow to cool on wire racks. Combine icing ingredients. Drizzle over tops of cooled sweet rolls. Serve. 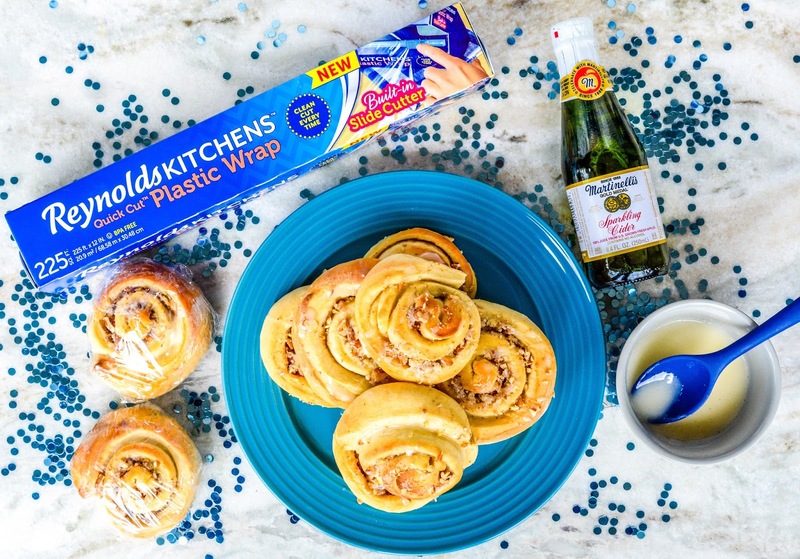 Because this recipe calls for more rolls than the 3 of us can eat in one sitting, I use Reynolds KITCHENS® Quick Cut™ Plastic Wrap to wrap up the rolls individual, that way we can grab a roll on our way out the door and have a fresh roll at work or to enjoy during school lunch. I love how this plastic wrap has taken one less frustration from my kitchen routine! 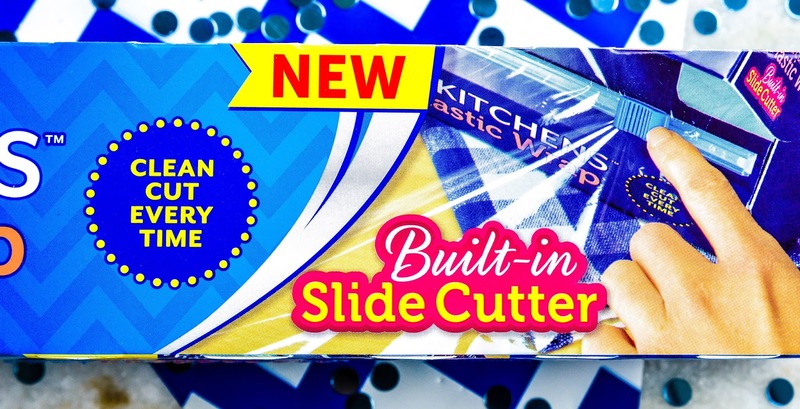 If you want to join the crowd of frustration-free plastic wrap users, be sure to look for New Reynolds KITCHENS® Quick Cut™ Plastic Wrap in most major retailers nationwide. What's one Tiny Victory you have celebrated recently? I seriously hate it when that happens! I like the plastic wrap that has the side cutter over the serrated edge. Great when we find something that makes life even a little easier. Finding the beginning of the roll is perfect, that can always be a pain in the arse. I agree, and it seems to be a hunt for the beginning every dang time I try with the older rolls! 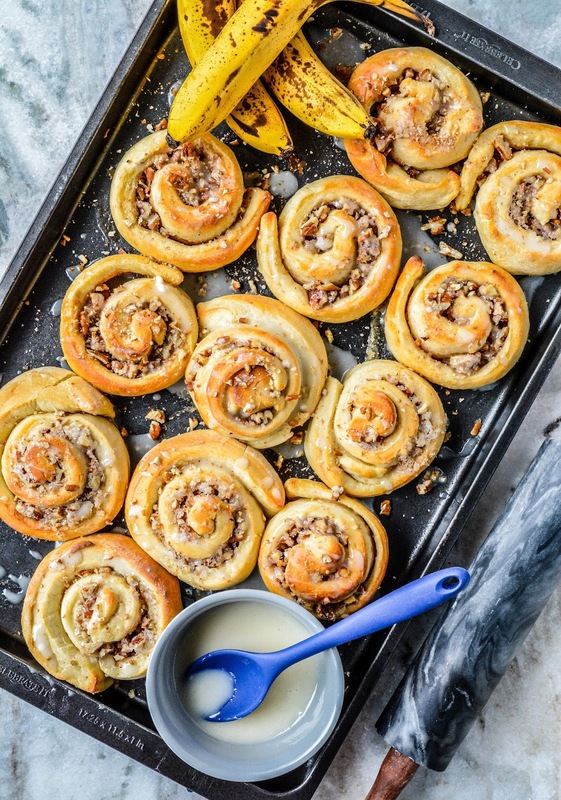 Hooray on the rolls, they do look nom, you know I'd eat anything with bananas! I've just been talking with my friend who is the owner of my fave health food store and she told me more and more buyers refuse to buy thinks in plastic containers. I asked if she had coconut oil in plastic jars instead of the glass ones because they're much cheaper and she was like - most customers ask for a glass jar even for Himalayan salt. I've read that foil is cancerous, and I actually truly believe it, but I also use tin foil a lot in my kitchen, sadly. I do believe that plastic bottles will cease being made within few years and glass ones will again rule. I do know you lurv the nananas! I'd like to see a list of what doesn't cause cancer these days. I am sure it would be much shorter than the list of things that does. 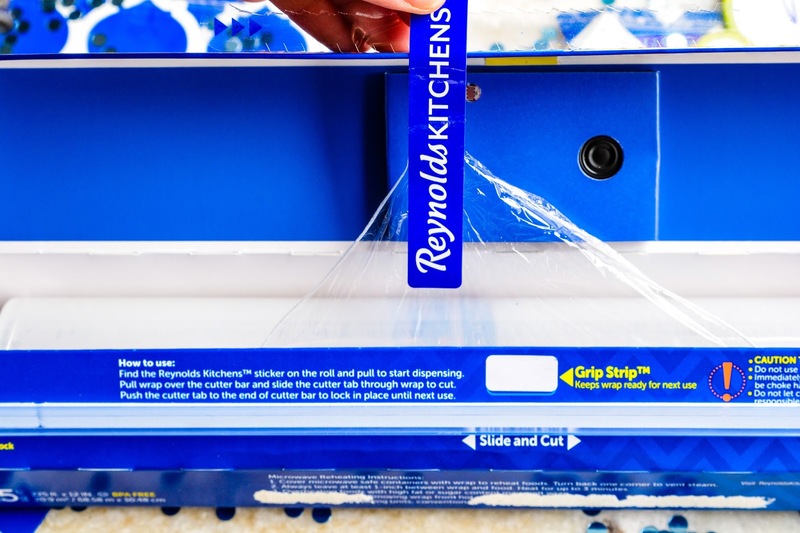 I use Reynolds, but didn’t know they had this which is needed in my home and would make cutting the plastic wrap a lot easier. 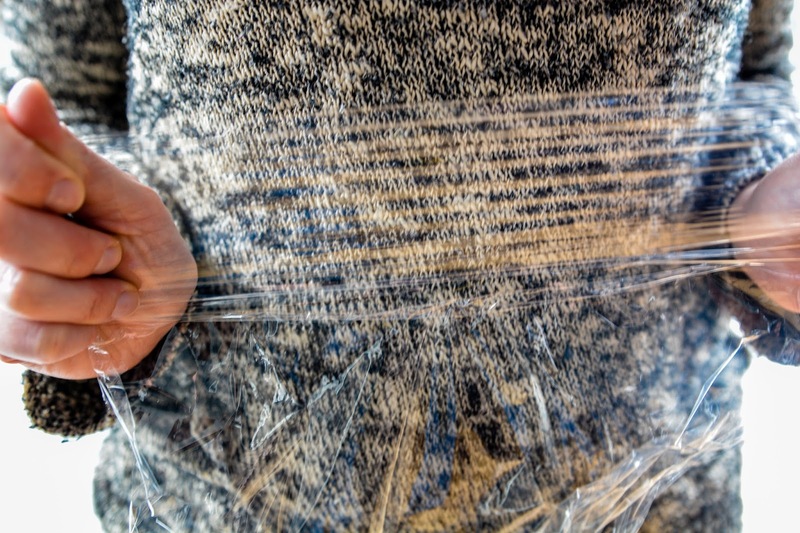 It definitely does make using plastic wrap so much easier! That's awesome. Would you please share some with me? I could totally use a cinnamon roll and good wrap. That built-in side cutter is so convenient! I am sold just by that little detail - not to mention, the wrap itself looks super sturdy. Not only do I need to try those rolls but I need that cling in my life! I am forever getting it stuck to itself when I try and break it and the built in cutter would make it so much easier. Ok, this is super convenient! I need to try this product out myself! Oh I like that and the recipe looks really good too. This is amazing! The built-in cutter comes really handy! It's the little things that can make or break a meal. Having a frustration-free prep period and even clean-up with Reynolds is awesome. We've used Reynold's for the longest time and we haven't used anything else. 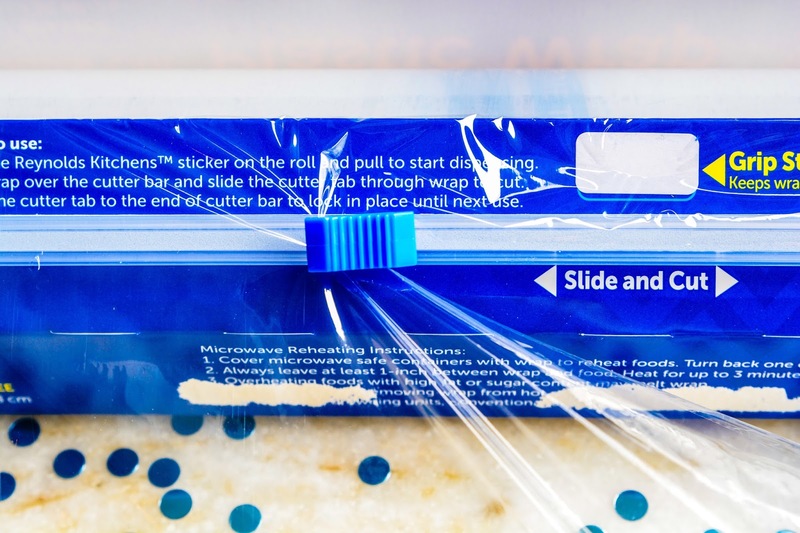 I think it's awesome that they now have a safer way to cut through their products. I would love to try that recipe of your as well! Reynolds is the only brand I will use for plastic wrap. It actually does what it's supposed to! Reynolds wrap has never let me down. Glad to see they are still doing the best! Finally!! I hate cutting myself on those stupid traditional teeth, and you are oh so right about the roll hitting the floor, definitely not cool. I've just added this to our grocery list.